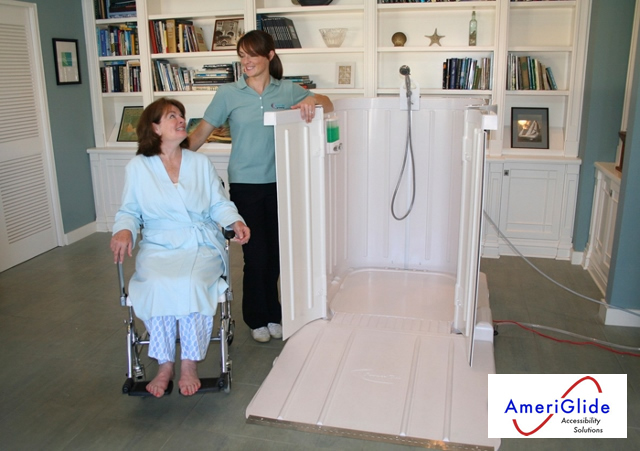 The Shower Bay portable shower can be installed in any room in your home, making it both a practical and affordable alternative to traditional walk-in tubs that require bathroom modifications. 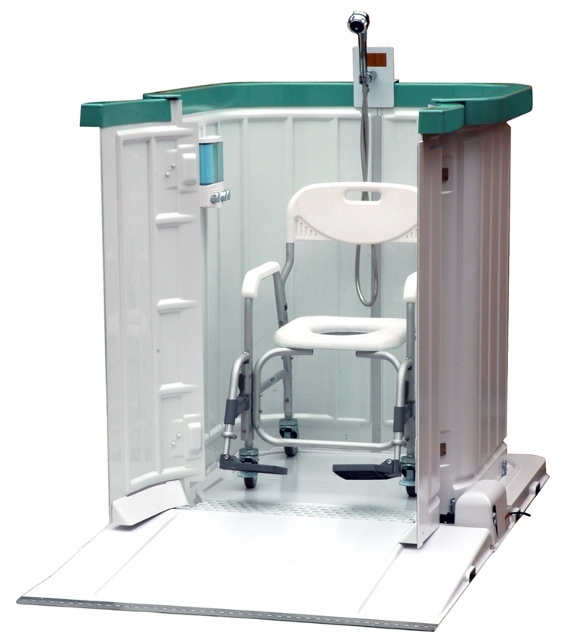 For those who rent their home, don’t have enough room for renovations, or only have first floor access to a half bath, or face other design challenges, the Shower Bay portable shower provides the perfect solution. 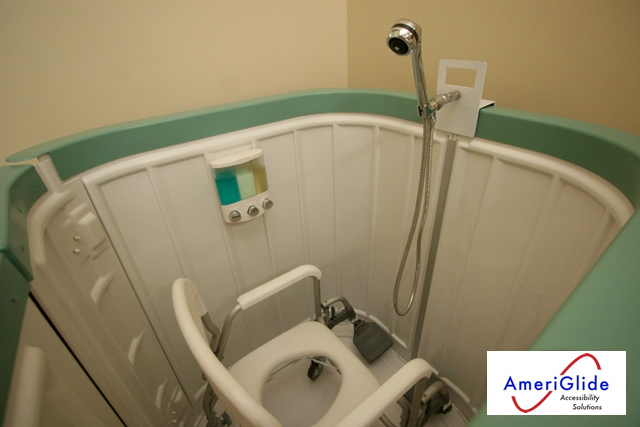 This product is designed to be easy to assemble and does not require any major renovations, building permits, or professional contractors. 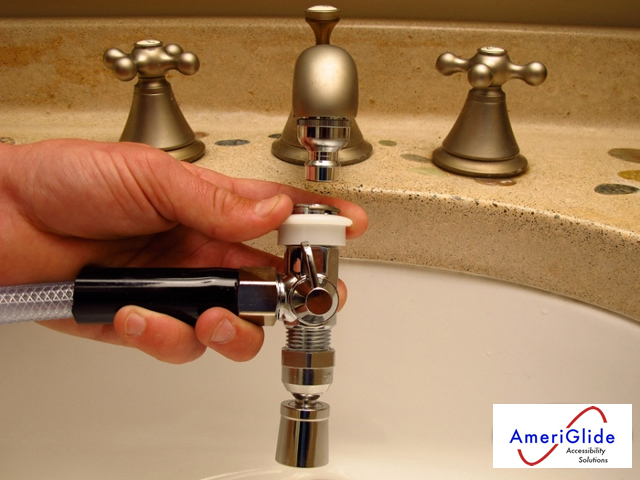 It comes with a quick-connect system that attaches to any existing faucet and uses your sink as a water source. The water is then drained using a built-in pump and out-hose that can be placed in a tub or sink. 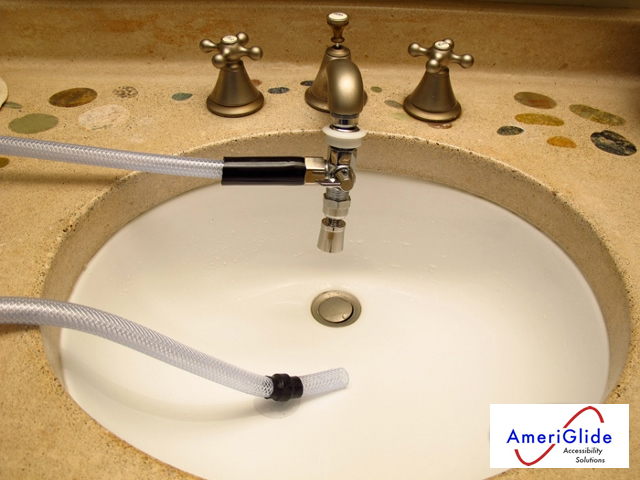 Both hoses can be rolled up and out of the way when not in use. 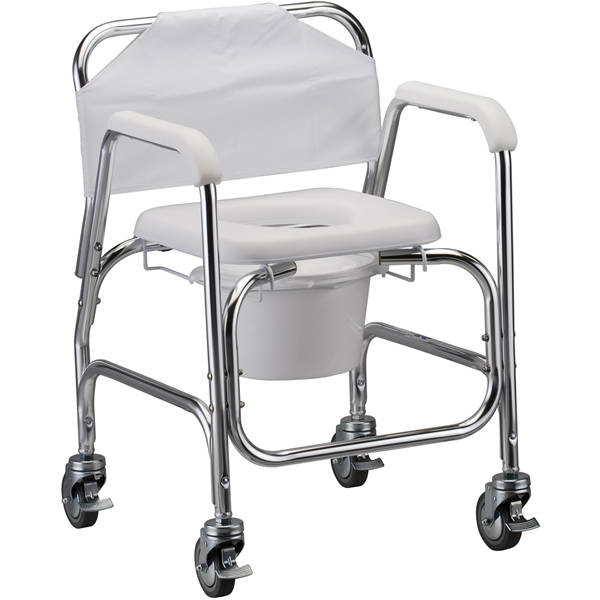 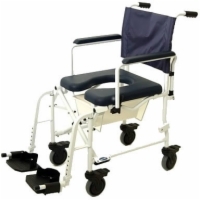 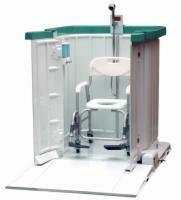 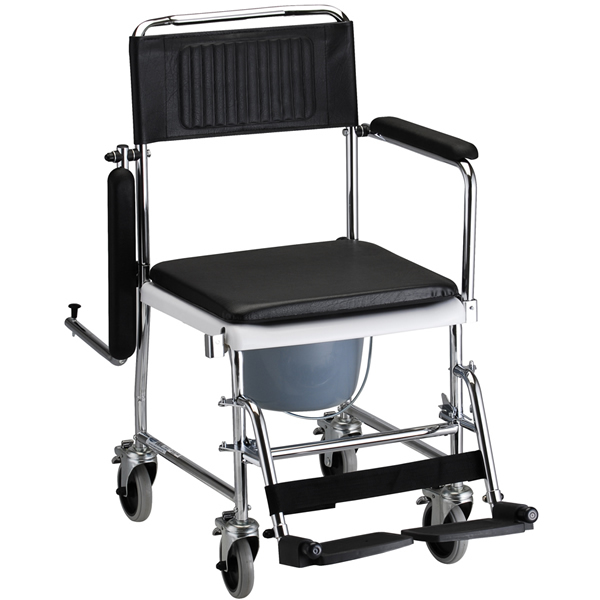 With the Shower Bay portable shower any wheelchair user can enjoy the privacy of a relaxing and rejuvenating shower. 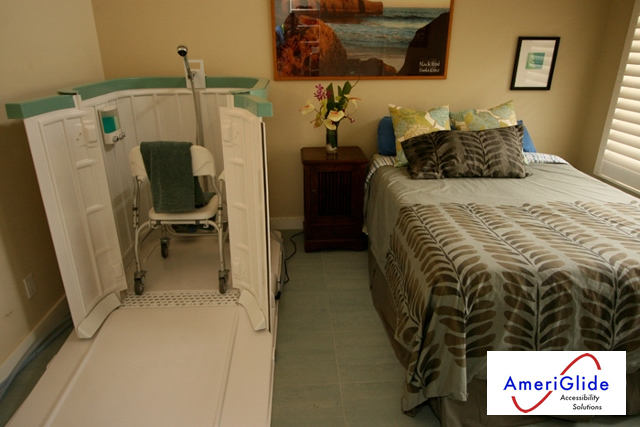 A convenient ramp allows for smooth and transitions into the tub and a compact design means it will leave a minimal footprint in any room of your home. 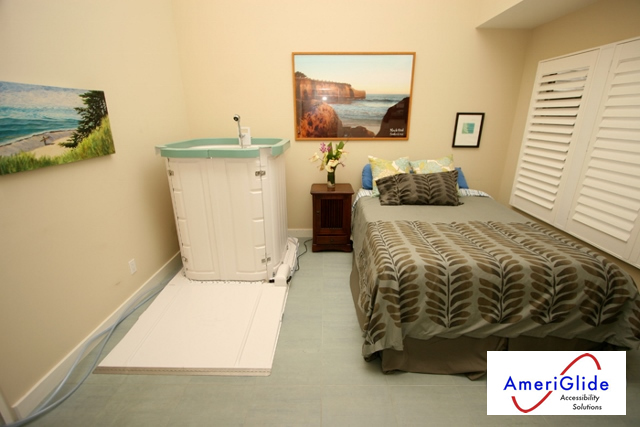 Call us today to learn more about this money saving product that will allow you to avoid expensive and time comsuming home renovation projects. 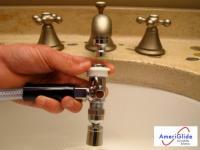 Also, be sure to ask about our unbeatable warranties. 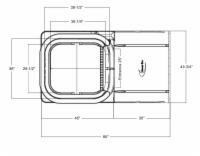 Will the Shower Bay work for you? 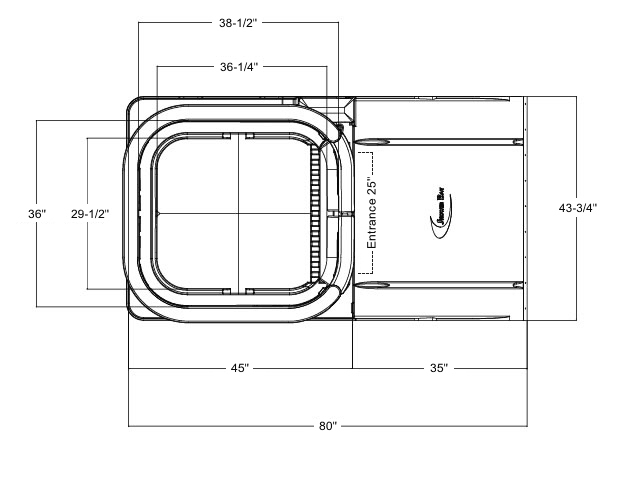 Fill out our questionaire and we will make sure that it is before you buy. Door Clearance with Wheelchair 25"